When we kids practically everybody’s father smoked and carried a lighter and you could almost guarantee that the lighter was a petrol Ronson. My father smoked and has a Ronson lighter in a little leather case in which he kept a silver threepenny piece to undo the screw on the bottom to refuel it. The Ronson lighter company started as The Art Metal Works in 1897 and was incorporated on July 20, 1898, by Max Hecht, Louis V. Aronson and Leopold Herzig, in Newark, New Jersey. Louis V. Aronson was a huge creative driving force for the company; and, with a few business adjustments, including the addition of Alexander Harris (1910-11) as Business Manager, the company soon became World Famous! Louis Aronson was a gifted man, who at 16 years old set up a money-making shop in his parents' home - before receiving a U.S. patent for a commercially valuable metal-plating process he developed when he was just 24 years old. He sold half the rights while retaining the Right to Use and later used part of the proceeds to open the Art Metal Works in Newark, New Jersey. Soon the company was producing a variety of high-quality Lamps, book ends, art statues and other decorative items, things much prized today. In the investigations for improving this Windmatch, Aronson discovered the method for making a white phosphorus-free match. The Belgian government had offered a prize of 50,000 francs in a competition open to the world and this had stirred up scientists and chemists to redouble their efforts to produce such a match, and many came very near. The prize was, however, awarded to Mr. Aronson, he being judged the only one to produce an absolutely non-phosphorus match, and to have complied entirely with the conditions of the contest. Whentechnological advances were developed to allow for the manufacture of a safe flint in 1906, Louis Aronson's ambition for an automatic pocket lighter soon became a reality. In 1913, he applied for a patent for a Liter (lighter), which was approved. In 1926 he released a new "automatic operation" Banjo lighter, which lit and extinguish in a single push. It was a great success, demand shortly exceeding supply, spurring Aronson to Patent it and design other products around the invention, which were marketed under the Ronson brand name. Under his leadership, the Art Metal Works began designing prototypes, and patented several generations of Igniting-Apparatus. Ronson received an exclusive patent, in 1926, for a new automatic lighter that worked with one hand, and in 1927 Ronson began marketed it as the Ronson De-Light Lighter with the slogan "A flip - and it's lit! Release - and it's out!" Ronson's new lighters were an overnight success worldwide and soon the company offered a variety of lighters for all tastes. Looking like a long-barrel pistol, the Ronson Pisto-Lighter was shown at the 1912 Olympia (UK) car show on the Klaxon stand. It consisted of a file-like piece which was drawn up the barrel of the pistol against a strong spring, and when the trigger was pressed it was released rubbing against a 'flinty substance' contained in the cap where the front sight of the pistol would be. This action was said to produce a constellation of sparks sufficient to light an acetylene lamp in the wildest wind. At the time acetylene lighting was standard for motor vehicles. 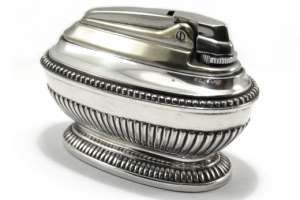 In the early 1930s Art Metal Works, began to manufacture a new line of Touch-Tip table lighters which became hugely popular and many stylish Art Deco designs were produced. After the war, Ronson turned to producing lighters, then branched out into domestic goods such as electric shavers and cooking appliances. The company expanded to include England and Australia. In the early 1980s, high costs and the advent of cheap disposable lighters forced closure of its production facility at Leatherhead here in England. Now, a European branch at Long Buckby in Northamptonshire sells a range of lighters. In February 2010, Zippo acquired certain assets of Ronson (lighters and lighter fluid products) in the U.S., Canada, and Mexico. Today, Ronson remains a strong brand in the U.S. and Canada. 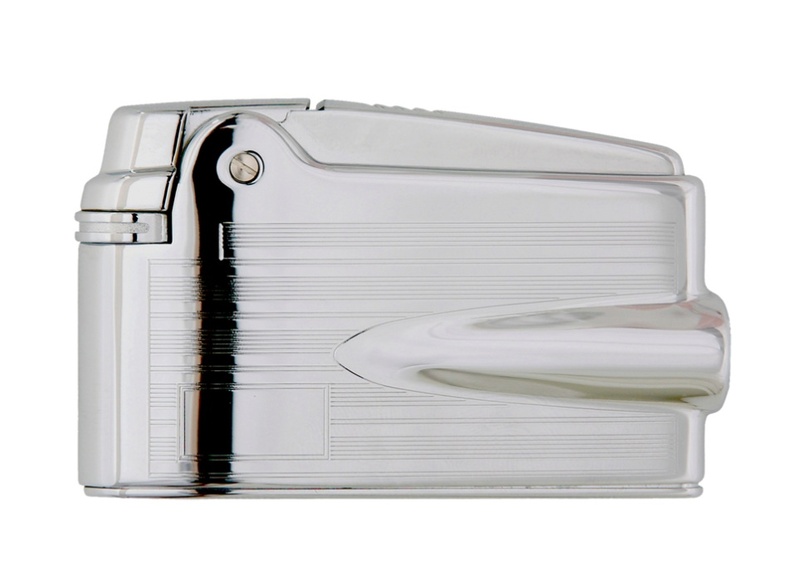 Ronson pocket lighters are available in both disposable and refillable versions. Several models of multi-purpose lighters and a touch-utility lighter are also marketed. 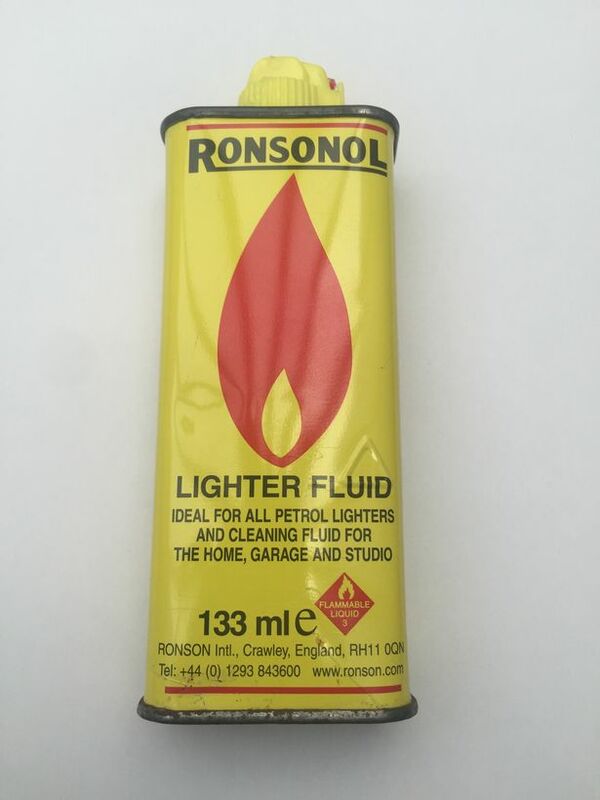 Ronsonol lighter fluid and Multi-fill butane fuel have a sizable share of the market. Ronson International Limited sells Ronson branded gift and everyday lighters, gas and fuel, and smoker's requisites internationally with the exception of Australia, Canada, Japan and USA. Ronson Internataional Limited headquarters are located in Northampton, England. The best known lighter here in England and the one my father had was the Cadet. 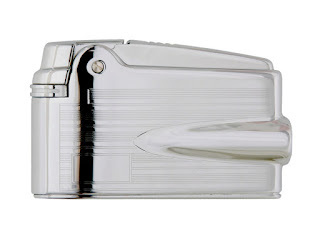 This silver coloured and durable square lighter was brought out to the public in 1959. It was made in three variants and they were made exclusively in England. On 24/06/1960 the number one single was Three Steps to Heaven - Eddie Cochran and the number one album was South Pacific Soundtrack. The top rated TV show was No Hiding Place (AR) and the box office smash was Psycho. A pound of today's money was worth £13.68 and Burnley were on the way to becoming the Season's Division 1 champions. On 24/06/1961 the number one single was Surrender - Elvis Presley and the number one album was GI Blues - Elvis Presley. The top rated TV show was Harpers West One (ATV) and the box office smash was One Hundred and One Dalmations. A pound of today's money was worth £13.25 and Tottenham Hotspur were on the way to becoming the Season's Division 1 champions. On 24/06/1962 the number one single was Good Luck Charm - Elvis Presley and the number one album was West Side Story Soundtrack. The top rated TV show was Coronation Street (Granada) and the box office smash was Lawrence of Arabia. A pound of today's money was worth £12.89 and Ipswich Town were on the way to becoming the Season's Division 1 champions. On 24/06/1963 the number one single was I Like It - Gerry & the Pacemakers and the number one album was Please Please Me - The Beatles. The top rated TV show was Coronation Street (Granada) and the box office smash was The Great Escape. A pound of today's money was worth £12.64 and Everton were on the way to becoming the Season's Division 1 champions. On 24/06/1964 the number one single was It's Over - Roy Orbison and the number one album was Rolling Stones - The Rolling Stones. The top rated TV show was Coronation Street (Granada) and the box office smash was Dr Strangelove. A pound of today's money was worth £12.24 and Liverpool were on the way to becoming the Season's Division 1 champions. On 24/06/1965 the number one single was I'm Alive - Hollies and the number one album was The Sound of Music Soundtrack. The top rated TV show was Coronation Street (Granada) and the box office smash was The Sound of Music. A pound of today's money was worth £11.69 and Manchester United were on the way to becoming the Season's Division 1 champions.